Well Lance you challenged me so here is my attempt. A man approaches Wilhelm. This man looks like a U.S. General with 5 stars on his chest(you’ve been staring too long if you noticed more than one star). just remember to play with LOS and you can beat any enemy. 2. 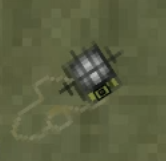 Make it that units with decent experience will not use explosive weaponry against targets that are say, 50 pixels away from a friendly target. When the side cars run over your units, there is nothing you can do to prevent friendly fire. Better AI is always something we wish for. I am so excited for what new Unfair Random and brutal experiences we will encounter with LUA! aaa that WW2 carrier/ ship battle game only a lot better. For what’s it’s worth. I think Star Destroyer or Flagshipped was not bad as far as mass small crafts combat goes. With LUA those games (types) may be even more exiting to play. That moment you realize you’ve been inactive for too long and you missed import/funny stuff.